MADISON, WI — A Wisconsin man woke up in his home to find a random thug stuck in his window, trying to weasel his way inside. Fortunately for the man, he had enough time to sprint to his safe, retrieve his firearm, and confront the intruder. 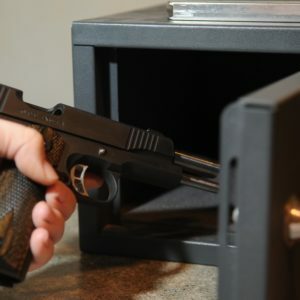 A Madison man went to his gun safe and retrieved a gun after he heard a burglar attempting to enter his home early Friday morning. Joel Despain, a spokesperson with the Madison Police Department, said it happened at a home on N. Bassett Street just after 1:30 a.m. 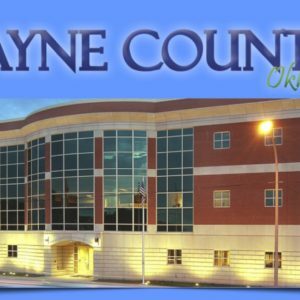 When the burglar’s upper body was inside the victim’s windows, the 28-year-old man pointed his gun at the would-be intruder and told him to leave. The victim’s partner, a 32-year-old Madison woman, said she was calling the police. The stranger took off running. Officers determined he had cut a screen in an attempt to get inside. 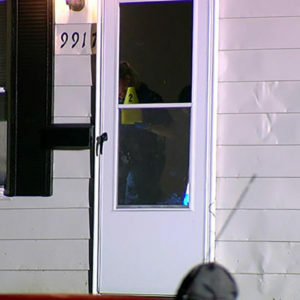 Despain said two young children, a 5-year-old and 6-year-old boy, were asleep inside the home. They didn’t awaken during the incident. The suspect is described as a white man in his 20’s with an athletic/slender build. He has shoulder-length dirty blonde hair parted down the middle. 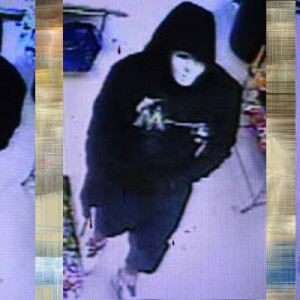 He was wearing a gray zip-up hooded sweatshirt. I know a lot of our readers eschew gun safes on the principal that if you’re wakened in the middle of the night, the last thing you’re gonna be wanting to do is either turning a key or punching a number. The principal seems to be sound, although I’ve not heard of a situation where that impairment has cost what detractors say it would — although that certainly doesn’t mean it hasn’t happened. It is fair to say, however, that had it been more than a couple seconds more in either waking or producing the firearm this entire story could have had a radically different ending. 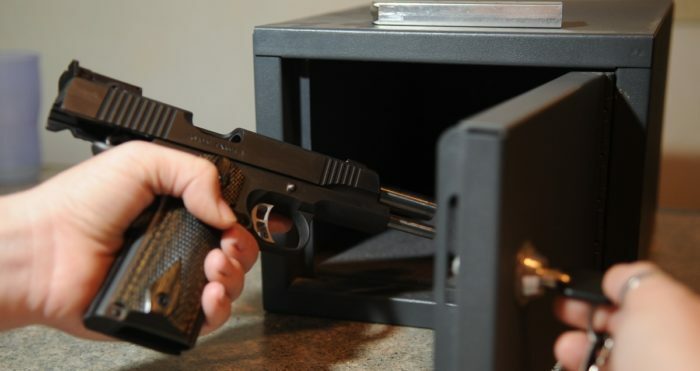 What do you think about gun safes for your home defense firearm? Please share this on Facebook and Twitter and let us know!